Rogers has announced it's lighting up 150Mbps LTE in four Canadian cities this year. Ottawa, Montreal, Toronto, and Vancouver are setting the stage for an additional 21 market rollout in 2012. Sure, that theoretical 150Mbps -- with an announced upstream of 70Mbps -- may shift a whole lot when this all gets real, but seriously, compared to HSPA+ those speeds are astounding. Canadians eager to get a bit more info can take a peek at Roger's new LTE site (link below) and cast a vote for your hometown to be part of the 2012 expansion. Rogers hasn't mentioned a date just yet -- or if they plan on all four areas going live at once -- but you can be sure that we'll be keeping close tabs on all the details and grabbing some hands-on experiences with launch devices as soon as we can. 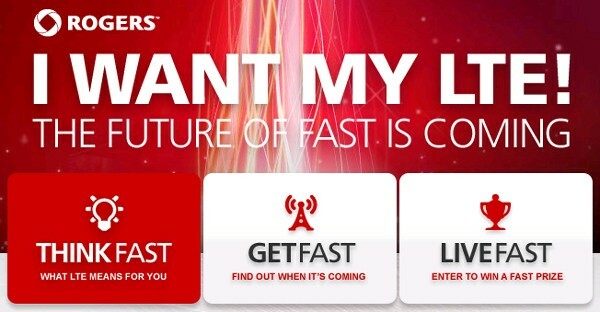 Rogers announces 150Mbps LTE launch in four Canadian cities this year originally appeared on Engadget on Wed, 27 Apr 2011 15:20:00 EDT. Please see our terms for use of feeds.